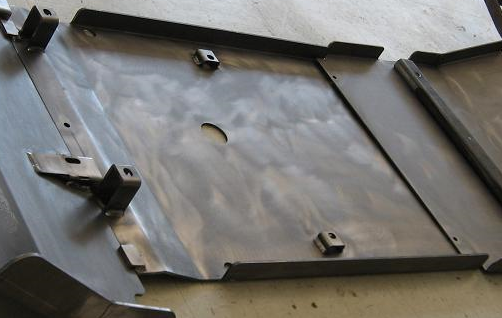 Our mid skid plate provides excellent coverage from under the engine and front suspension to half way back on the transmission. It is made to attach easily to the BudBuilt front skid and BudBuilt trans skid. This skid weighs 45 pounds.